Now, the Internet is creasing day by day, eveyone is shopping through Internet any time and any where. An officially research has confirmed that 90% of users prefer using a keyword search for what they are looking for on your website. Therefore, your site need to look professional, attract customer stay your site longer. 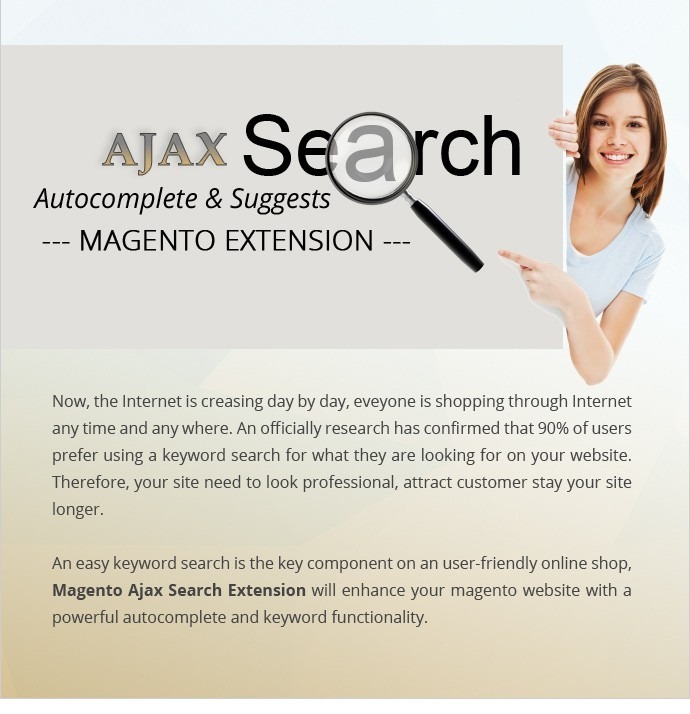 An easy keyword search is the key component on an user-friendly online shop, Magento Ajax search extension will enhance your magento website with a powerful autocomplete and keyword functionality. Magento Ajax Search Autocomplete and Suggest is nesscessary product for all the website. Help your customers to quickly find what they’re looking for. Ajax Search for Magento use Ajax technologies to simplify the loading process of search quires and database loading to give almosst instant search to you website user. 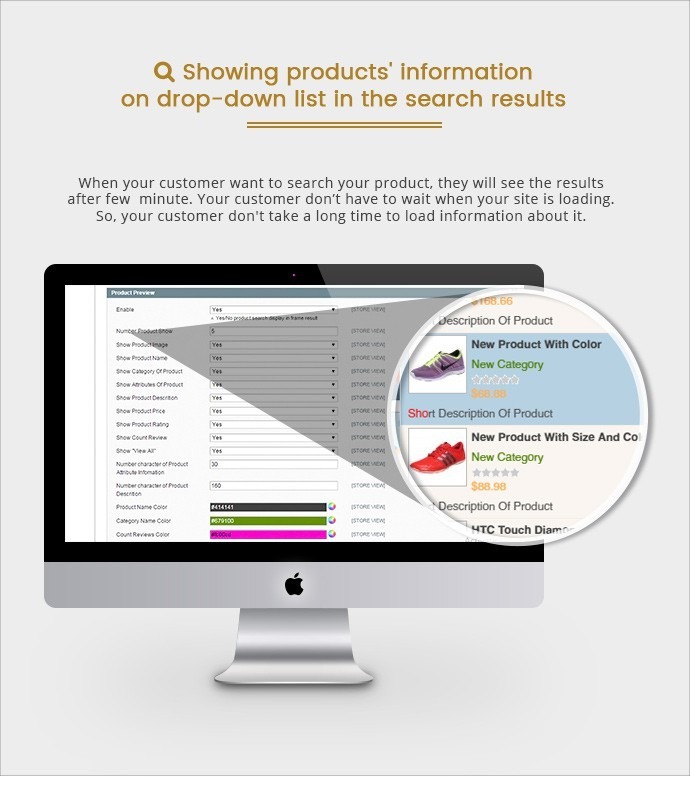 It takes few minute to show results in your site, can search products easily. So you will save not only time but also money when shopping online. You can filter categories, that will be displayed in search suggest field. It will specify the search information, and will direct your customers attention to the right stores pages. The Ajax Search and Autocomplete plugin is the indispensable idea for you. 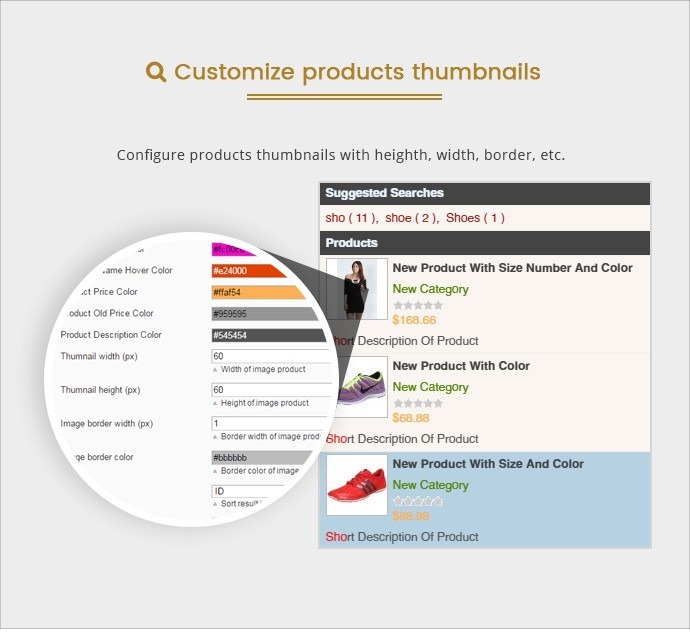 When setting our products on your site, your customer can use easily, they can search other product with many attributes. No need to remember full name of product, you still find through search tools. 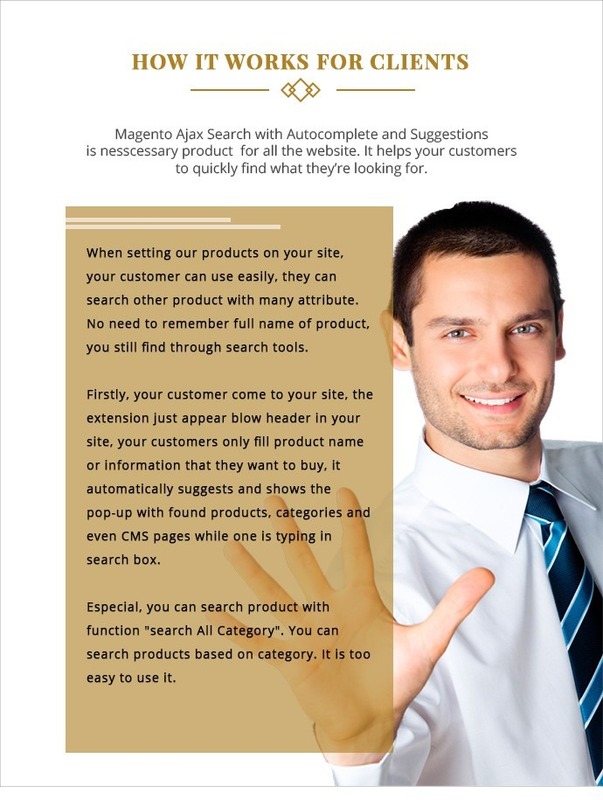 Firstly, your customer come to your site, the extension just appear blow header in your site, your customers only fill product name or information that they want to buy, it automatically suggest and shows the pop-up with found products, catiegories and even CMS pages while one is typing in search box. 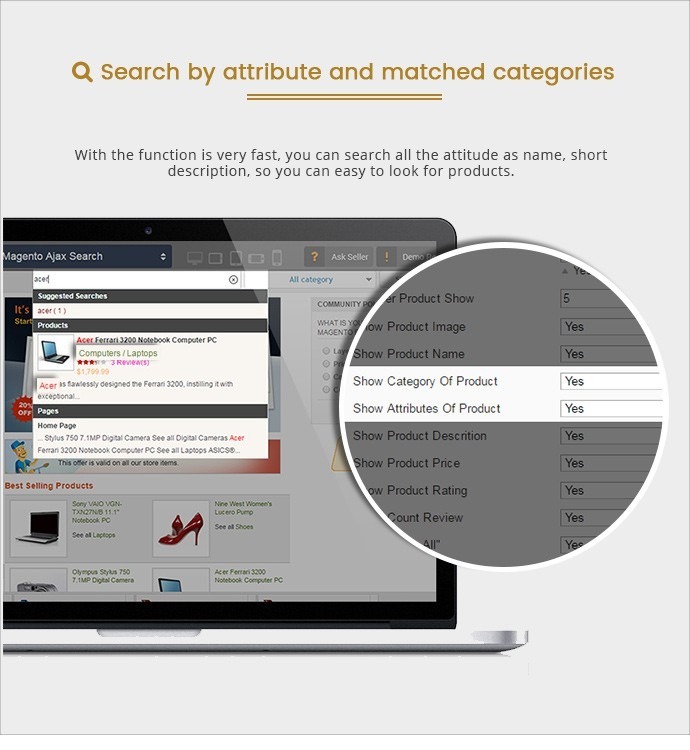 Especial, you can search product with function "Search All Category". You can search products based on category. It is too easy to use it. This product are not only user friendly with your customer but also easy to set up for admin panel. 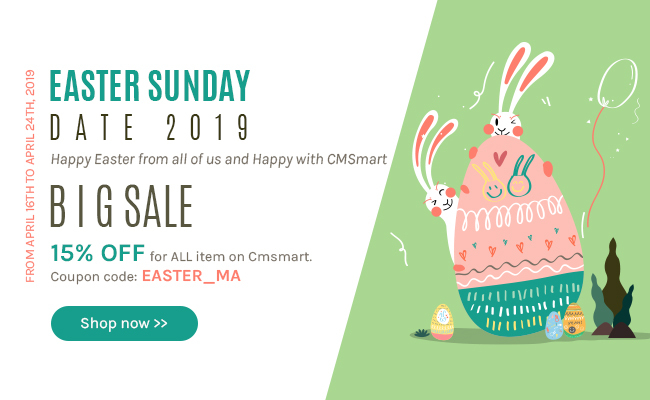 Our products is easy to set up for shop owner, you can configue in admin panel with many color, layout, style….easy manager for admin website. When you set up successful, your site look professional, interface beautiful, and the interface of webiste is user friendly with customer. If you have more questions about setting our product, please read in user guide to know more informations. 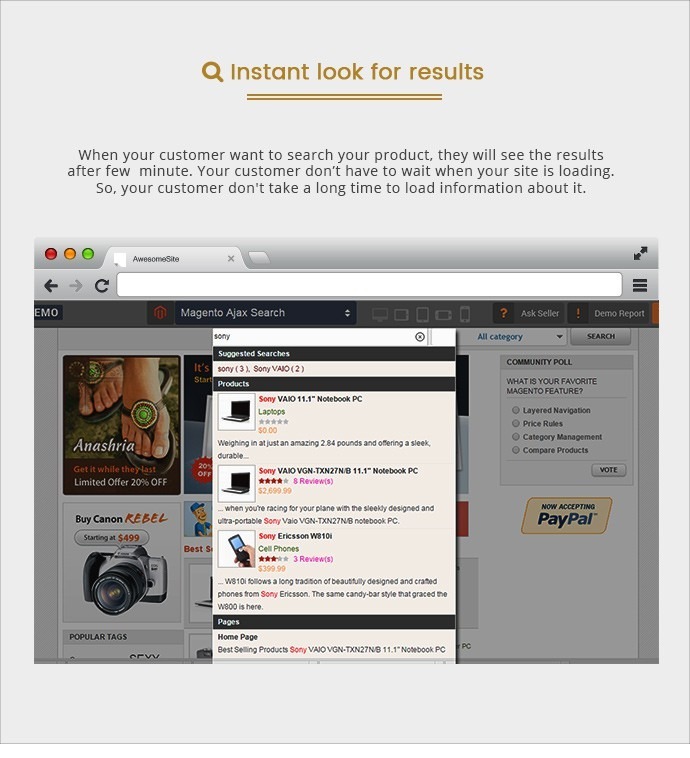 Instant look for results - When your customers want to search your product, they will see the results after a few minute. Your customers don’t have to wait when your site is loading. So, your customers don't take a long time to load information about it. 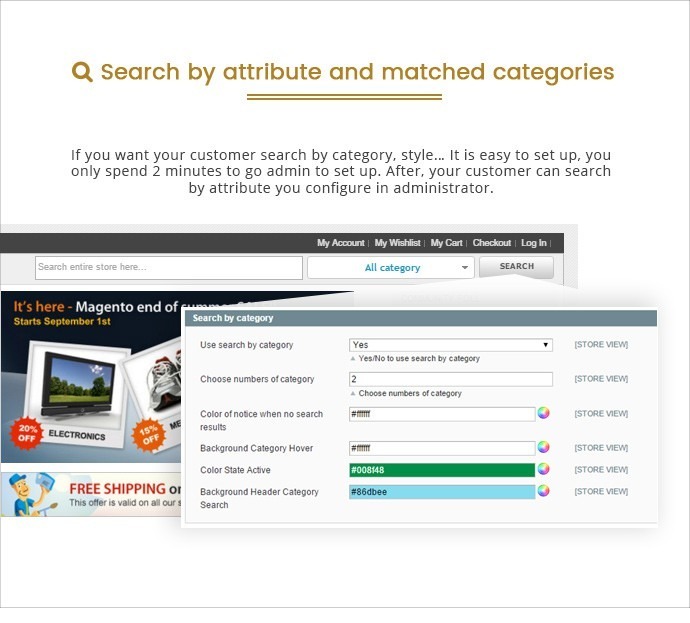 Search by category - Filter based on Magento category which is a drop down list. Your customer can choose categories if you want. It facilitate for your customer. 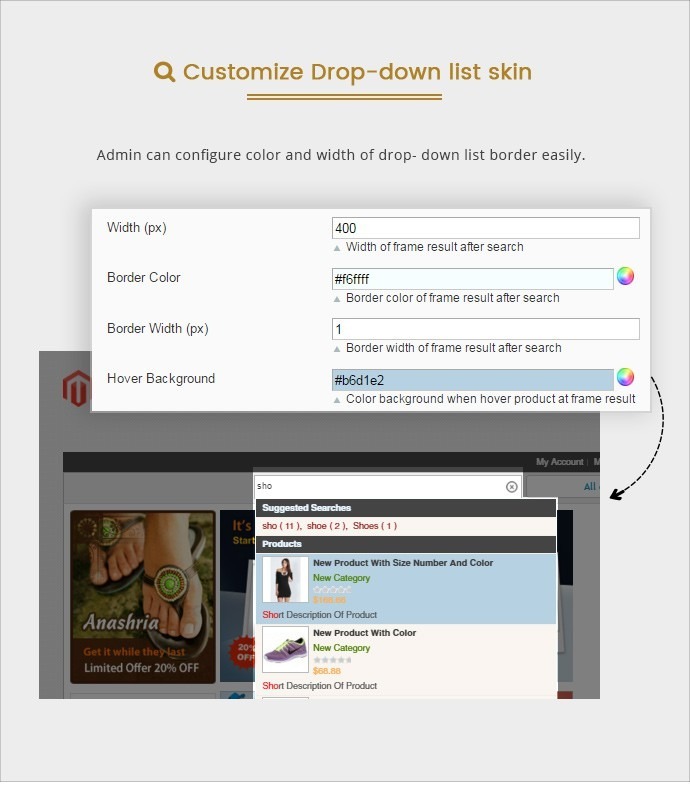 Showing products’ information on drop-down list - If you want to manage your site easily. You can set on admin to show all the information, image, products name, a short description, price and ratings if you think it is necessary for products. 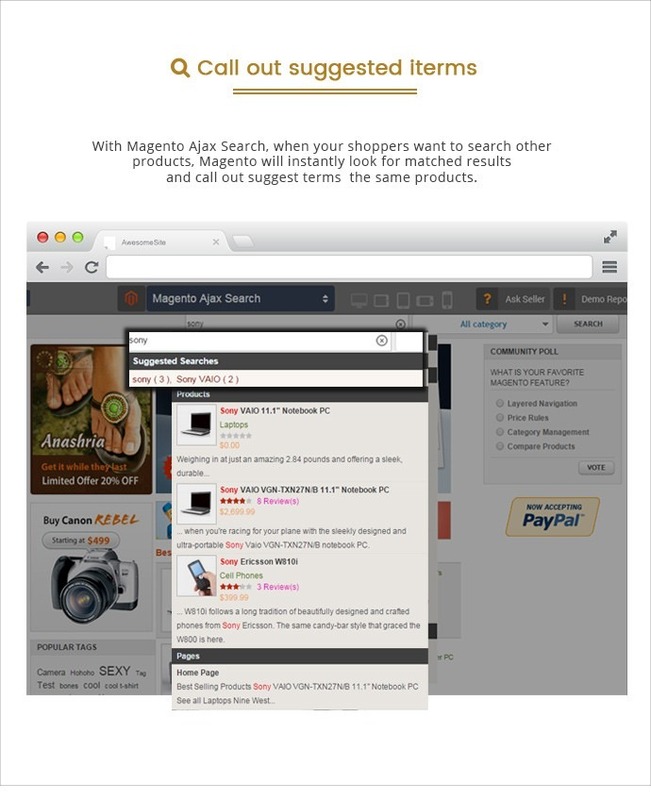 Call out suggested iterms - With Magento Ajax Search, when your shopper want to search other products, Magento will instantly look for matched results and call out suggest terms the same products. 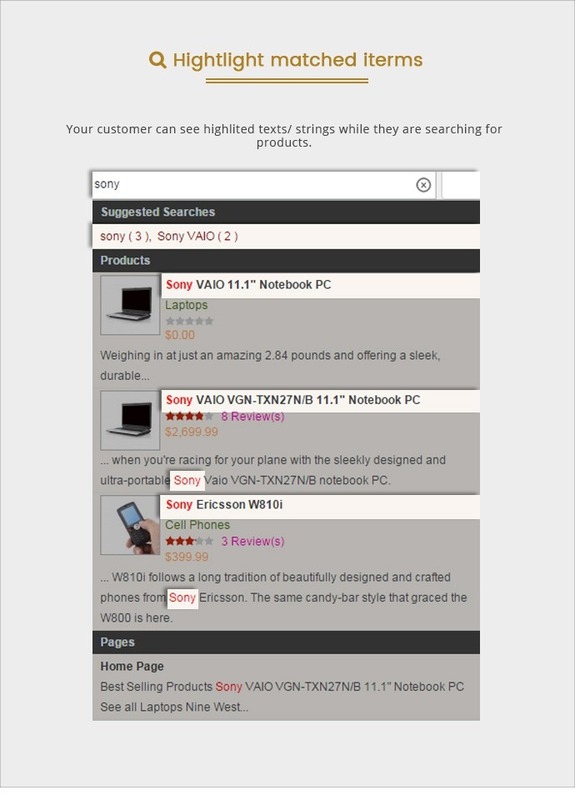 Your customers can see highlighted texts/ strings while they are searching products. 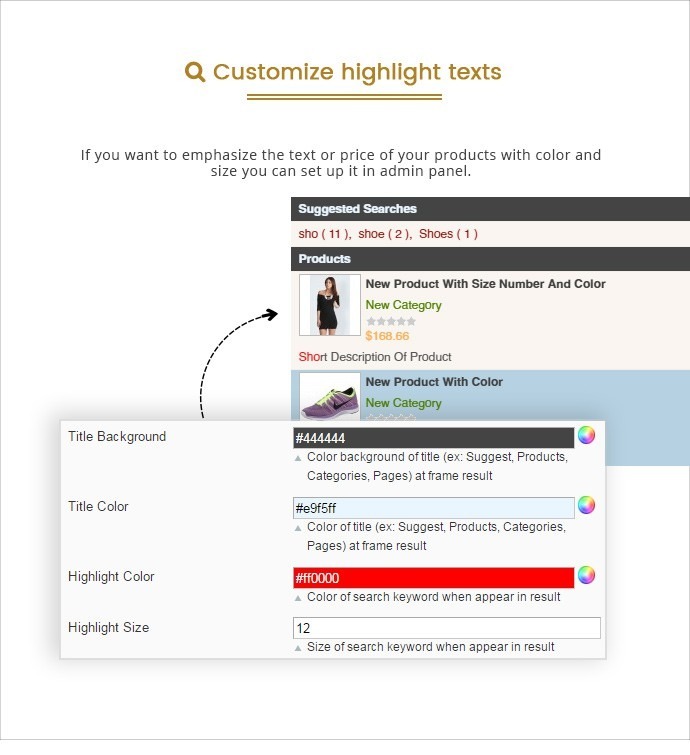 Customize highlight texts - If you want to emphasize the text or price of your products with color and size you can set up it in admin panel. 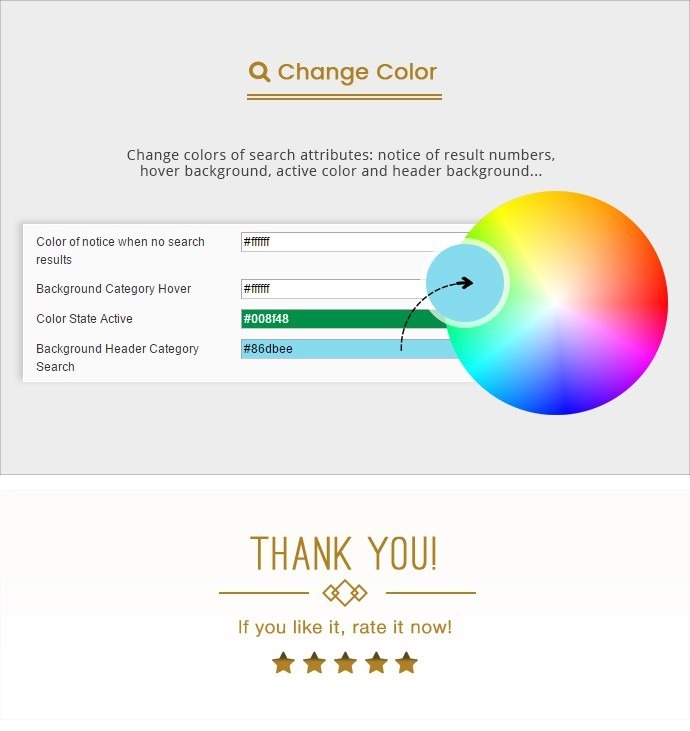 Change color - Change colors of notice when no searching results, change background category hover, change color State Active, change Background Header Category Search. This is the best Ajax search I have ever been applying! Quite easy to install with friendly interface. Totally satisfied! Your product works so well with my busniess, it encourages me to search more relate item on your site! This product really great, friendly user. My custermer can look for the information more quickly and easily. I will continue use it again. Thanks. This extension is useful and user-friendly. Especial it helps my customer save a hug time when they can easily find product as they wish. Thanks the developer. Excellent product, it is also the professional assistance, the timing is a bit long for the time zone! Council the extension. 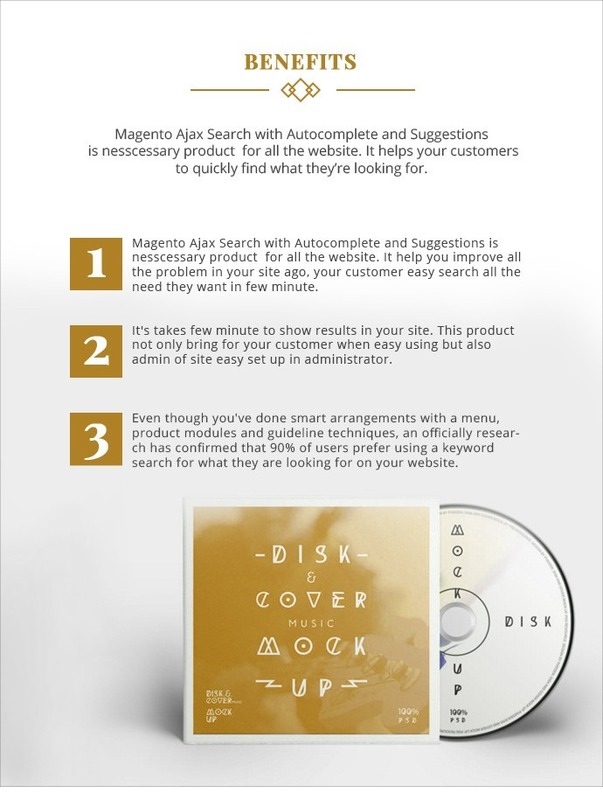 I do search around for similar products from other Magento developers, this Ajax Search is among the best one on the market now. 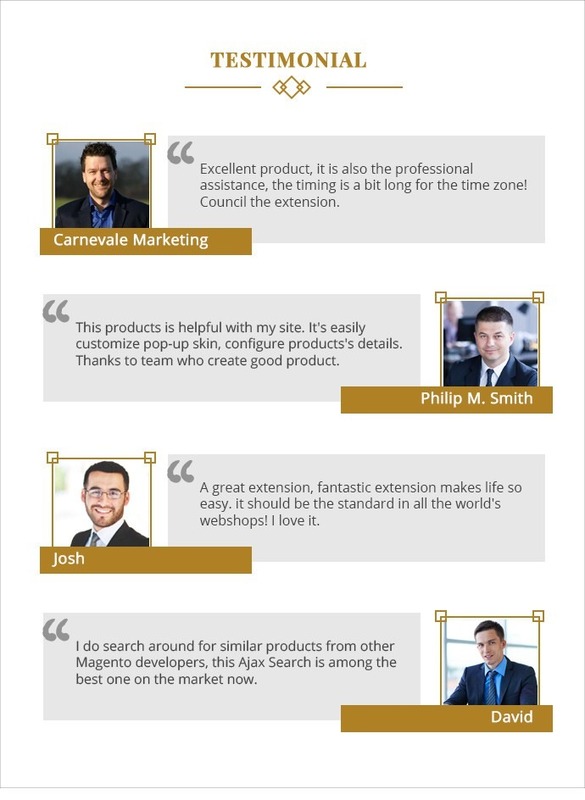 This products is helpful with my site. 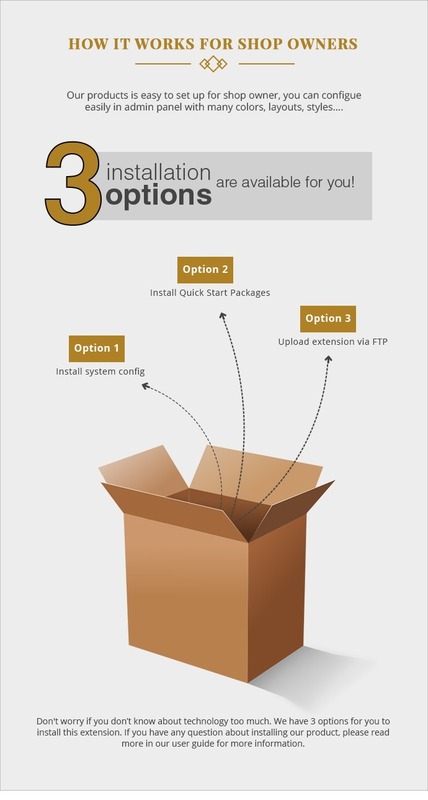 It's easily customize pop-up skin, configure products's details. Thanks to team who create good product. This extension is very practical and user-friendly, saves time and the results quickly. Great. I have bought two applications so far, great effective service. Unexpected fast response! Looking forward to use cmsmart more often. I will surely recommend it to friends and family! Perfect Service! Smarter and Instant Search: When a keyword is entered, there will be several relevant results returned just in a second. 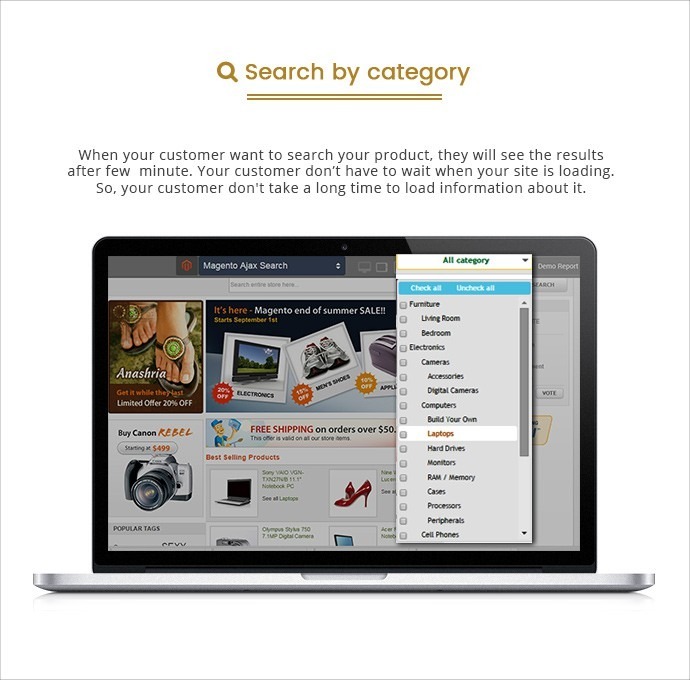 Search by category: in a website with thousands of products available, the results returned for a keyword might be a lot, so you can narrow them by searching by category. 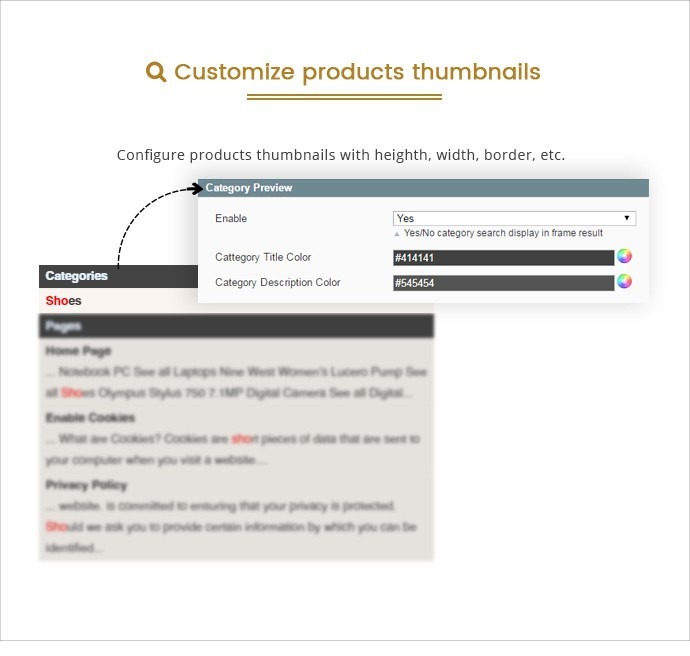 Product Preview in results: in admin, web owners can set to display full information about products for customers in terms of image, a short description, price and ratings in dropdown list of search results. Time to request: When a customer enters a word, the speed to return results is slow or fast will depend on how web owner set in admin panel. Display product reviews in the search autocomplete window to encourage customers to purchase. Customize width of dropdown list: The width of dropdown list is not fixed, you can customize to fit your website’s layout in admin panel. Customize description: the length of description and which content is displayed also can be customized easily. Besides the main features above, there are a lot of benefits you can achieve. We have 4 types of menu “product grid”, “static category listing”, “dynamic product listing by category” and “product listing” you cannot set the number of columns to display in dropdown menu but with the rest, you absolutely can. Besides adding images, description for products, don’t forget labels to highlight such as Hot, New and Sale. With vertical, you can add icon on category to make your category clear.